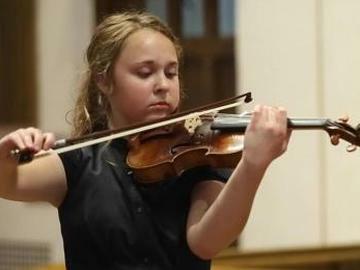 Vivaldi's Four Seasons will be performed by 16 year old virtuoso violinist Amelia Piscitelli. Steve Robinson, former Executive Director for 98.7WFMT will narrate four seasons of poetry. Amelia was featured on WFMT's Introductions radio show last year. Repertoire will include the Bach Double Violin concerto with concertmaster Mathias Tacke and Amelia Piscitelli. A wonderful string orchestra concert with virtuoso soloists performing baroque concerti and lyrical classics.